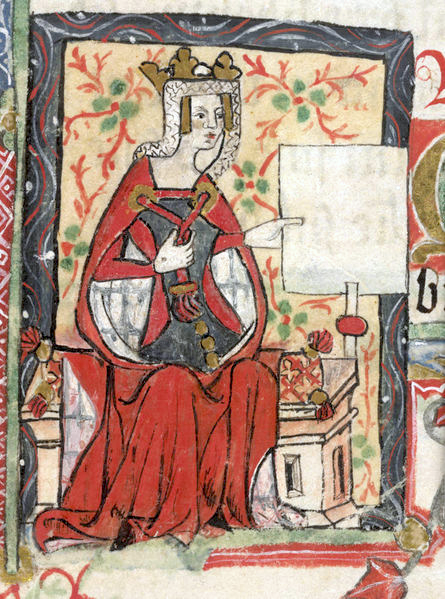 Matilda was the claimant to the English throne during the civil war known as the Anarchy. The daughter of King Henry I of England, was Holy Roman empress before being made heir to the English throne following the death of her brother in 1120. She was remarried to Geoffrey of Anjou. Henry I died in 1135, but Matilda and Geoffrey faced opposition from the Norman barons and were unable to pursue their claims. The throne was instead taken by Matilda's cousin Stephen of Blois, who enjoyed the backing of the English Church. In 1139, Matilda crossed to England to take the kingdom by force, supported by her half-brother, Robert of Gloucester, and her uncle, King David I of Scotland, while Geoffrey focused on conquering Normandy. Matilda's forces captured Stephen at the Battle of Lincoln in 1141, but the Empress's attempt to be crowned at Westminster collapsed in the face of bitter opposition from the London crowds. As a result of this retreat, Matilda was never formally declared Queen of England. The war dragged on for many years, but in 1154 her son was finally crowned King of the English. Matilda returned to Normandy and was buried under the high altar at Bec Abbey after her death in 1167.